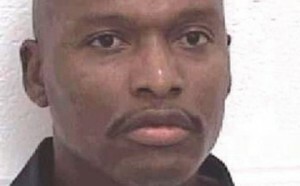 A judge dramatically stayed a Georgia inmate’s scheduled execution for a third time on Monday, after attorneys raised questions involving the state’s supply of execution drugs. Lawyers for Warren Lee Hill, 52, have long argued that he is ‘mentally disabled’ and therefore shouldn’t be executed. The lethal injection was halted just three hours before it was due to be carried out. The state maintains that the defense failed to meet its burden of proving beyond a reasonable doubt that Hill is mentally disabled. The death-row prisoner was sentenced to death in 1990 for the lethal beating of fellow inmate Joseph Handspike with a board studded with nails to the distress of other inmates. At the time of the murder, Hill was already serving a life sentence for the 1986 murder of his girlfriend, Myra Wright, who he shot 11 times.